To allow the association to discuss and strive to reach consensus on the standardization of best practices in Ontario. 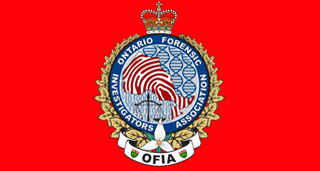 The Ontario Forensic Investigator’s Association is comprised of members of police services and related government agencies that are active in the work of forensic investigations. The member agencies are drawn from the Province of Ontario. Membership in the Association may only be granted to a bona fide police agency or government agency directly involved in the work of forensic investigation. Member agencies must be in good standing with the Association. 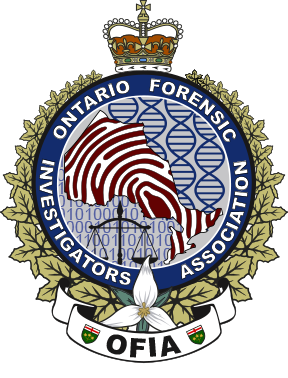 The Ontario Forensic Investigator’s Association will herein after be referred to as the “Association”. The Association will be a single body with two separate components; The (1) Executive and (2) Membership. Ensuring all members adhere to the tenets and practices as defined within the Association Charter. Assigning duties to other members of the executive. Ensuring meeting votes and executive elections are conducted in accordance with established procedures. Assists the Chair in the discharge of their duties and shall assume all responsibilities of the Chair during his or her absence. Maintaining minutes of all Association business and disseminating the information to the membership. Receiving correspondence and sharing information with the executive and/or membership. Maintaining accurate records of all Association votes on business and the election of executive members. Maintaining all financial records and preparing regular financial reports for dissemination to the Association executive and membership. e) Vice-Treasurer Assists the Treasurer in the discharge of their duties and shall assume all responsibilities of the Treasurer during his/her absence. Developing, implementing and monitoring forensic training programs on behalf of the Association. Liaising with the training sections at the Ontario Police College, Canadian Police College, Centre of Forensic Sciences and other educational centres to ensure that forensic training meets the needs of Association Members. Conveying messages and information, both internally and externally, on behalf of the Association. Developing and maintaining an Association website in conjunction with an external internet service provider. Facilitates discussions and sharing of information that impacts judiciary, external stakeholders, subject matter experts and the membership to remain current with forensic identification standards and trends in forensic sciences and case law. Coordinating planning activities for the OFIA Conference. Supporting the other executive portfolios. Taking on added responsibilities that the executive deems necessary. The outgoing Chair will sit on the executive for a two year term following the election of a new Chair. This position has no voting privileges. Executive elections shall take place at the schedule Annual General Meeting. In order for the executive elections to proceed, a membership agency quorum of 50% must be in attendance. Each membership agencies will be allowed one vote per agency. Nominees for election must be nominated and seconded. Nominations will be closed only by the Chair and seconded by an executive member. For each executive position, the nominations will be taken and the vote conducted prior to moving on to the next position. The election will be overseen and conducted by an independent scrutineer appointed by the Chair. The scrutineer will not be a member of the Association. All election voting shall be done by secret ballot. A majority of one is required to win a vote. In the case of a tie, the scrutineer will conduct a second ballot. If the second ballot fails to decide a winning candidate, the members of the Executive present will conduct a vote to decide the winner. In the event a member of the Executive is one of the tied candidates, he or she shall be excluded from the vote. In the event that a member of the Executive cannot complete their two year term a by-election shall be held at a time and location determined by the Chair. This by-election will be held as soon as practicable and will be for the completion of the original term of the departing Executive Member. In the event a member of the Executive no longer meets the Charter Membership criteria, that member may continue to fulfill their duties until the following Annual General Meeting at which time a replacement will be elected. e Membership will consist of members from the Charter Membership role. Any member agency attending a meeting of the Association will have one vote on general Association business. Members may be called to assist the Executive as required. The Executive will determine the annual membership fees every two years. Member agencies will be required to pay fees on an annual basis. Member agencies will pay annual fees no later than the end of April in any calendar year. At a General Meeting a vote requires 50%of the Charter Member Agencies to be present. At a Committee meeting a vote requires 50 %of the Committee membership to be present. In the event sufficient members are not in attendance to form a quorum, at the discretion of the Chair, a representative from a member organization not in attendance may vote via proxy, phone, text, or email. Members shall declare a conflict of interest in any membership vote where he or she has a direct pecuniary interest. The Chair will be called upon to cast a vote to break a tie. The executive will meet a minimum of four times a year. The Association will meet a minimum of once a year. The Chair will determine the date and location of the meetings. The host agency will be responsible for providing the meeting facilities and the Association will be responsible for the cost of the refreshments at the discretion of the Chair. Meetings may be called on an ad hoc basis if required and if determined to be necessary by the Chair. An Annual General Meeting of the Association will be held each fall.